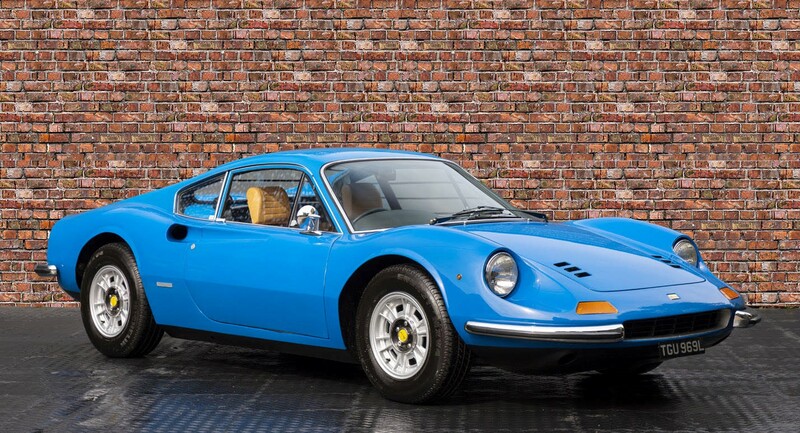 This wonderful example was delivered in right hand drive in the striking colour of Azzurro Dino Blue over beige and has covered just over 62,000 miles from new. Completed by the factory on 31st October 1972. 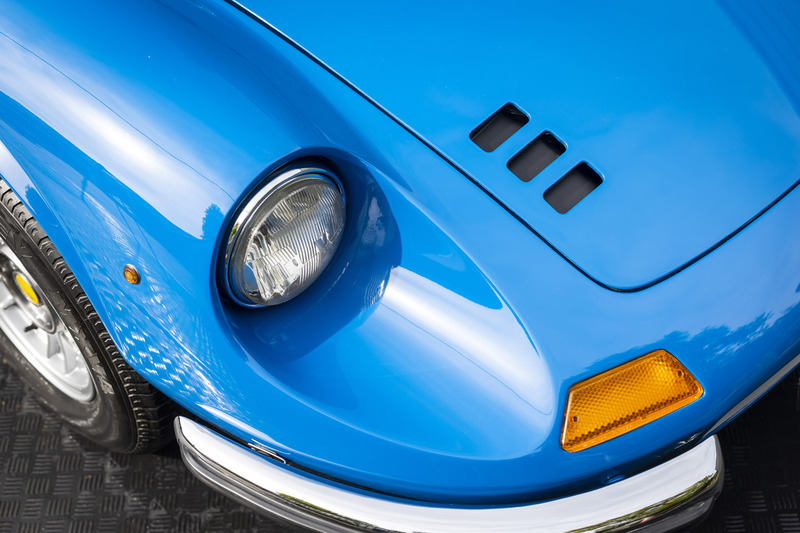 In November of that year, the car was delivered to the well-known Colonel Ronnie Hoare’s Ferrari Concessionaires, Maranello in Egham, Surrey. From there, the car was sold to North Worcester Garage where it was first registered on UK number plates: RWP 5L. 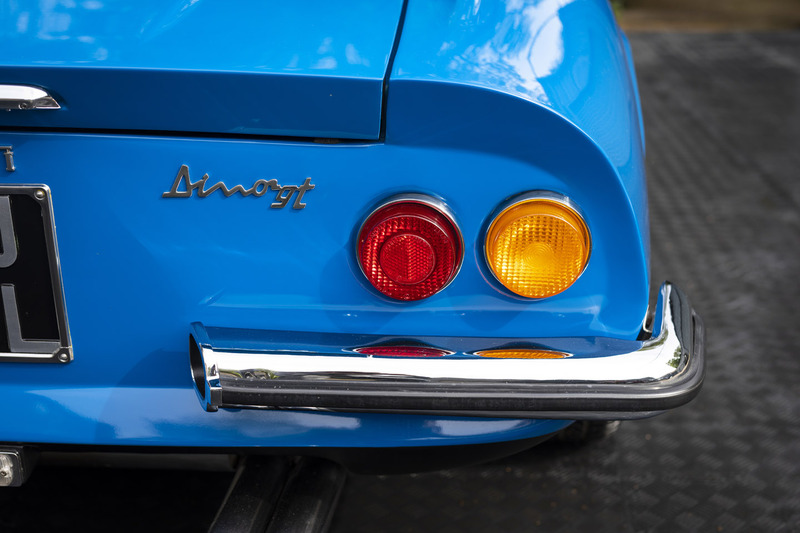 In March 1973, the car was traded to Halesowen Jensen Garage who sold it to its first private owner, Mr Ronald Strasser of Birmingham. Mr Strasser kept the car in the UK until 1979 when he decided to export it to Brisbane, Australia. The car remained under the ownership of Mr Strasser for more than 15 years. In 2002 the car was sold to Neil Brown via Trevor Bassett. 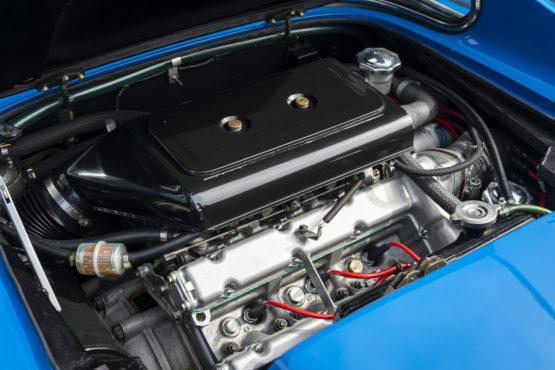 Mr Brown enjoyed the car immensely for a period of 12 years before it was sold to its final owner in Australia, Terry Healy’s Automobili Rapide P/L in Mooroka, Queensland. It was then re-imported to the UK in 2015. 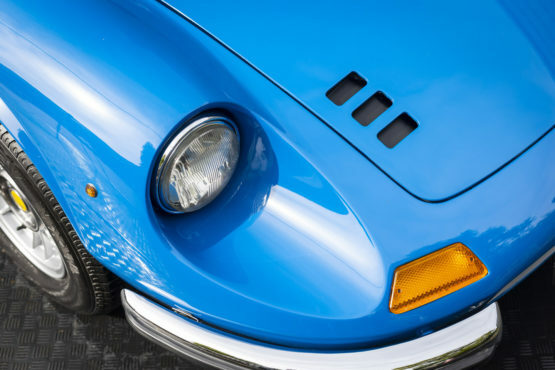 Chassis number 05206 is one of only 488 right hand drive cars produced. Presented in fantastic condition, the car is complete with the correct matching numbers engine and gearbox. 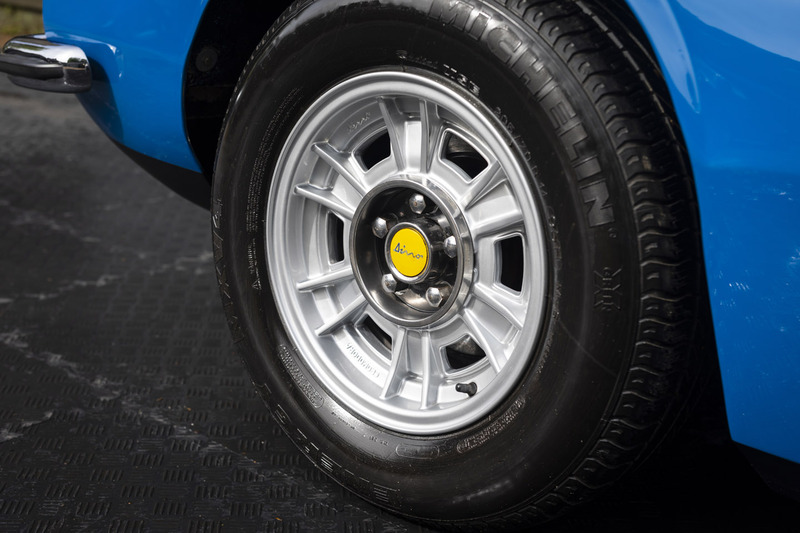 Prior to the car returning to the UK, extensive re-commissioning work was carried out. 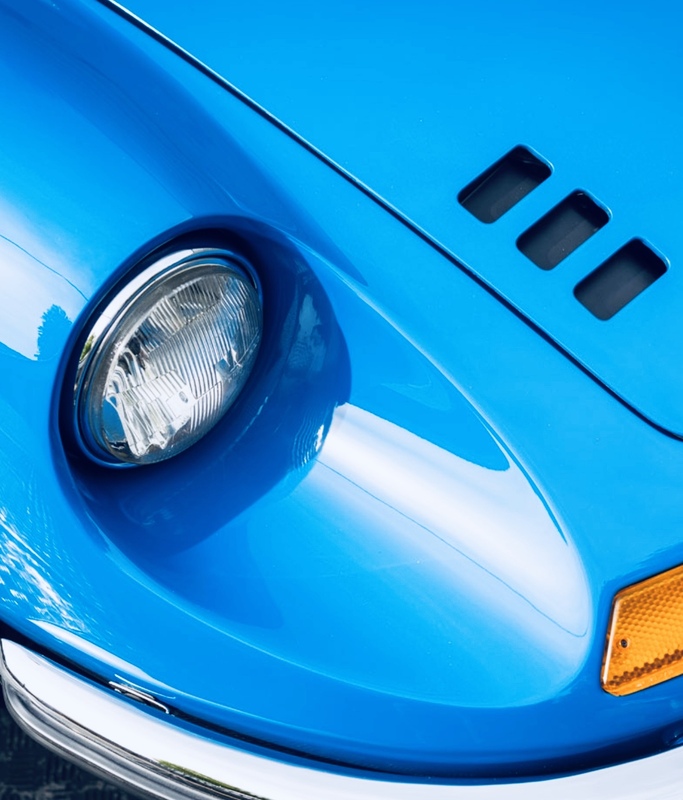 All invoices and details of this work are comprehensively detailed in the car’s history file. One of the main benefits of the car spending time in Australia is that it has always been located in a dry climate which has helped greatly in keeping its immaculate condition. The car comes complete with the original Ferrari woven wallet, original handbook and original tool roll. Alongside these items, the car is also presented with its original warranty card. 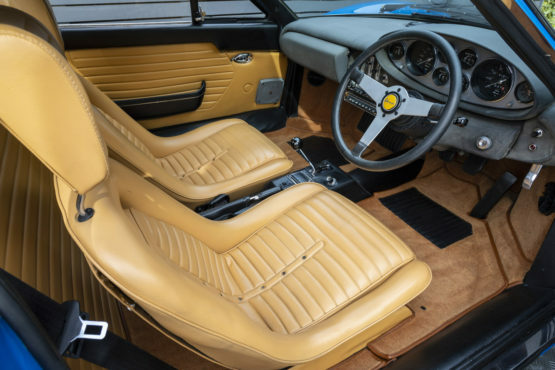 This is a fantastic opportunity to acquire a very rare original right hand drive UK-supplied car resplendent in its outstanding colour combination.